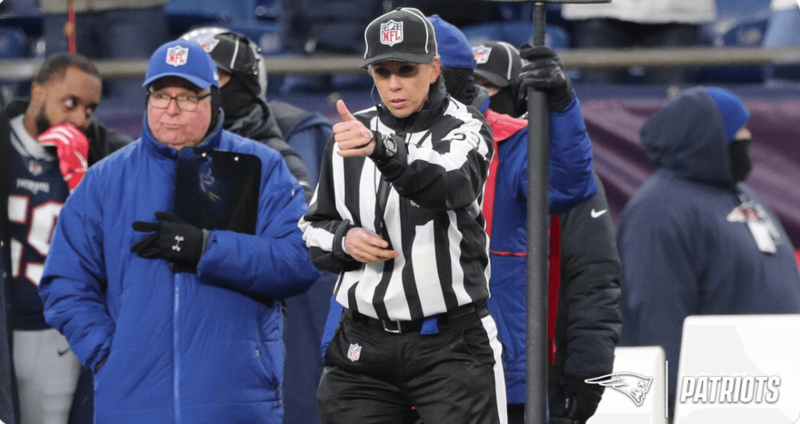 NFL official Sarah Thomas became the first female to officiate a post-season NFL game, only the most recent addition to the many triumphs of her career. This is Sarah's fourth season as an NFL referee. Before the NFL, she was the first female referee to officiate the Big Ten. Prior to that, she was the first female to referee a college football bowl game. While Sarah never embraced the "trailblazer" title, she understood that her role moves mountains for other women and girls. “A man may feel as if he can have his way or whatever, but I just think that when we carry ourselves with confidence, and walk into a room with confidence, the atmosphere kind of changes,” she said. People across the country have been flooding social media with support for her. “You have to see it to be it, and little girls everywhere are watching. Way to go, Sarah Thomas!” tennis star Billie Jean King wrote. Now, while watching football, the sidelines are no longer filled only with men, but with strong female role models, as well.